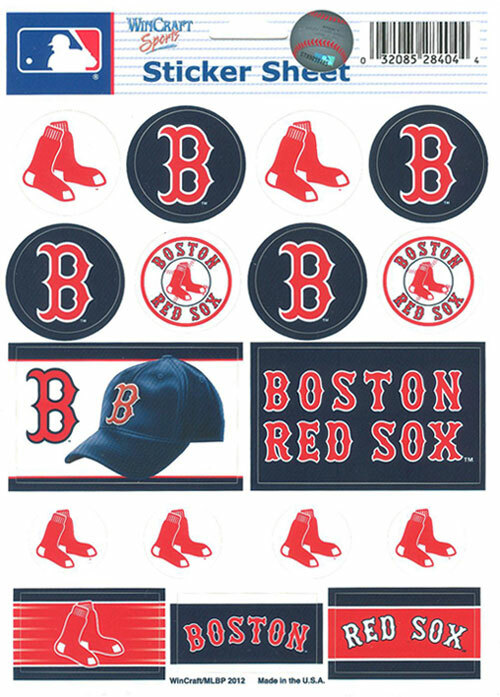 This 5" x 7" sheet has 17 Red Sox stickers, a dozen of which are round and five that are rectangular. The easy peel off stickers are small yet perfectly sized to make sure one's fandom can be noticed on a variety of surfaces or stuff. 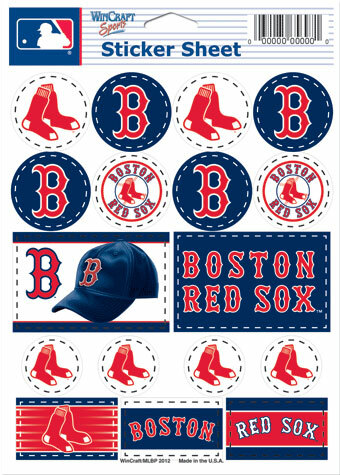 The Red Sox sticker sheet is a made in the USA product, and it contains 8 different versions of the team's logos.